Longer Terms. More Options. More Flexibility. As we embark on our journey into 2019, we can’t help but reflect on those we are thankful for. At Wildwood Guitars, we couldn’t be more thankful for you, our incredible customers. For over 34 years, our customers have allowed us to grow beyond our wildest dreams, serving musicians all over the world and forming relationships that will last a lifetime. 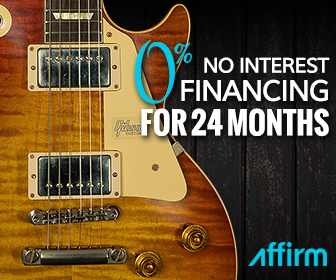 Wildwood Guitars is now proud to offer even more flexible financing options in partnership with Affirm, including an 24 month, 0% interest option! This is just our way of saying “thanks” to you, our exceptional customers, for your continued friendship and support. With convenient, extended financing terms to match any budget, there couldn’t be a better time to buy the instrument of your dreams! For years, Wildwood Guitars has challenged the financing industry to deliver a competitive, easy to use financing program for our exceptional customers. Time and time again, we’ve found that many of these companies have fallen short on key areas that matter most to the Wildwood staff. 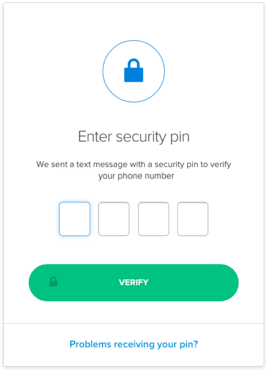 The product had to be hassle free, convenient, easy to use, and had to offer a simple solution that fits with the evolving digital marketplace. Not only that, but the company absolutely had to be aligned with the core values and beliefs here at Wildwood. In other words, we didn’t want to pass the consumer off to another company that didn’t hold our customers in the highest regard or deliver the same level of excellence that we, ourselves, strive for. After searching for years, we believe we’ve found the perfect partner to deliver just that. Affirm financing has created a product that is so easy to use, so quick and so painless, that we knew we wanted to team with them to make financing your dream instrument a reality. Affirm prides itself on simple, straightforward financing options. Utilizing a flat, simple interest rate and repayment flexibility that allows you, a valued member of the Wildwood family, to select the option that fits your needs, Affirm can deliver a straight-forward financing experience with little to no hassle. That means no late fees, pre-payment fees, service fees, or anything else that would complicate the user experience. The best part? Once you’re approved, your order is processed and you’ll receive your gear immediately. No waiting, no hassle, just you and the instrument of your dreams. Does it get much better than that? 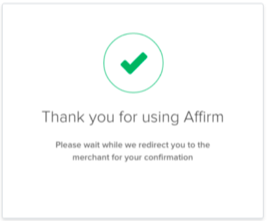 To use Affirm, simply select it as your payment option at checkout. Answer a few questions, and before you know it, your personalized financing option is ready to go! With some of the highest approval rates of any financial company, we’re confident that Affirm financing will deliver a satisfying experience that will give you, our exceptional customers, the opportunity to finance an instrument that will inspire for years to come. Wildwood Guitars is proud to launch it’s partnership with Affirm, and deliver an experience that we feel is second to none. 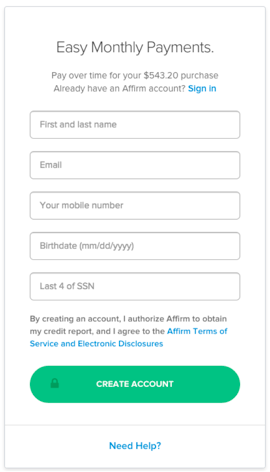 Have A Question or Issue with Affirm? **Special 0% interest, 12 or 18 Month Financing Offer applies to New Instruments only. Cannot be combined with other manufacturer promotions or offers. 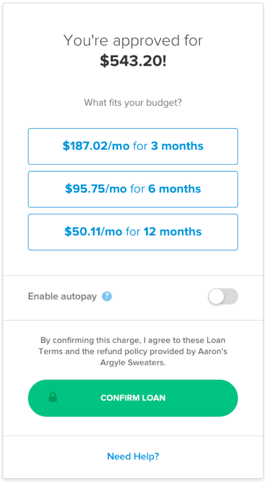 Payments are split into 12 or 18 payments with no interest. Used and Consignment instruments are excluded from the promotion. Some customers may not qualify for 12 or 18 months/0% financing, but may qualify for other offers. Previous purchases are ineligible for offer. Offer is subject to change at any time. Pay over 12, 18 or 24 months with financing rates between 0-30% APR when you complete a purchase using Affirm. Eligibility for financing and rates is based on applicant’s creditworthiness. Affirm loans made by Cross River Bank, member FDIC.